Thousands of UK households could be plunged into fuel poverty this Christmas according to a new report. The Fuel Poverty Advisory Group (FPAG) study claimed the increase in energy bills could potentially put 300,000 homes into fuel poverty over the winter period. A number of energy firms, including the 'Big Six' have all bumped up prices this year, whilst E.On has recently confirmed it will increase its prices in the new year. Families are said to be in fuel poverty if they spend more than ten percent of their household earnings on heating bills - the FPAG predicts a staggering nine million people could meet that level by 2016. Certain policies, such as the Warm Home Discount Scheme, have already been introduced to help vulnerable people applicable to the scheme cope with ever-increasing energy bills, but the lobby group believes more action is required. The FPAG report details a mixture of households in the UK currently classed as in fuel poverty, with around half of them pensioners, a third suffering with a form of disability or illness, a fifth featuring children five years old or under, and one in ten of the houses containing someone aged at least 75. 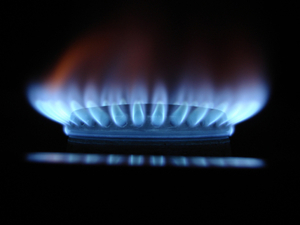 To combat fuel poverty, the group has urged the Government create a cross-departmental group on the issue, with the main purpose of ensuring a team effort or "joint-up approach" is made. Furthermore, it recommended putting more emphasise on local authorities to meet fuel poverty targets. FPAG chairman, Derek Lickorish, said: "A toxic cocktail of rising wholesale prices, the high cost of energy reforms and cuts in incomes for many households, means fuel poverty levels are set to sky-rocket without radical action. "Time is running out for the government to fuel poverty proof the homes of those on the lowest incomes."